Future Generali Life Insurance is a joint venture between the Future Group and Italy based insurer Generali Group. 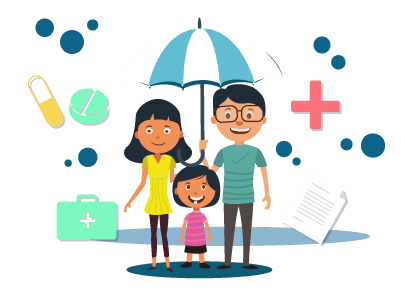 It is considered to be one of the topmost insurance companies in India serving more than 11 lakh customers and spread over 80 different locations in India. Future Generali life insurance offers a plethora of products to its customers and has a dedicated customer care service which aims to take care of their consumers at all times. If a person has any query, he/she can get in touch with a customer care executive at any point in time through phone or SMS and can also send in an email as well. Apart from that one can also ask the customer care agent to call them back as well. All they have to do is visit the customer service web page of the insurance company, and click on the tab ‘Call Me’ where the person will have to enter their name, contact details, and email-ID. The customer care executive will call back within 2 hours. In case of any query, one can contact the customer care service executive by sending an email to care@futuregenerali.in. If a person wants to get more information regarding the group insurance plans provided by Future Generali Life Insurance, they can send an email to group.quotes@futuregenerali.in. Future Generali Life Insurance customers can also avail the SMS facility in order to get their queries addressed. For that to happen, the customer will have to ensure his/her number is registered with the Future Generali Life Insurance. If a customer wants information related to his/her insurance policy, he/she can do so by messaging keywords to 9222211100 from his/her registered mobile number. The keywords are given below. For example, if a customer wants to find information regarding his/her motor claim, all he/she has to do is SMS MOTORCLAIM to 9222211100 from their registered mobile number. The customer care executive will call back within 2 hours. The executive will be available from 8:00 a.m. to 8:00 p.m. for all days of the week. The customer can also send a message from their registered mobile number to find other important information. The customer will have to send an SMS to 5607003 in order to avail these services. For example, if the customer wants information regarding their fund value, all they have to do is SMS FV<12345678> and send it to 5600703. Future Generali Life Insurance customers and others can avail the Future Generali Life Insurance online chat facility by visiting the official website of the insurance company. The customer care executive will chat with the customer in case of any query that they want to address. Anyone can avail this facility which will be available from 8:00 a.m. to 8:00 p.m. from Monday to Friday. The customer will have to fill in their details which include their name, email ID, and mobile number. They will also have to provide details of either policy number, cover note, and customer ID or their claim number before they can live chat with a customer care executive. The customer can also visit the official website of the insurance company in order to find relevant information regarding the plans, insurance policies purchased as well as the relevant contact details and addresses. Indiabulls Finance Centre Tower 3, 6th Floor Senapati Bapat Marg, Elphinstone (W) Mumbai 400013, India. Addresses of some of the Future Generali Life Insurance branches are given below. 4th Floor, Windfall, Sahar Plaza Complex, Andheri Kurla Road, J.B. Nagar, Andheri (E), Mumbai - 400059. 1st Floor, Basudha Tower, 1579-A, 15th Mai Road, J Block, Annanagar, Chennai - 600040. 3rd Floor, Chitrakut Building, 230 A, AJC Bose Road, Kolkata-700020.